Loved by millions of loyal fans as one of the stars of NBC’s hit comedy Suddenly Susan, Academy Award-nominated actress Barbara Barrie is a woman of exceptional achievement on and off the screen. Earning international renown for such memorable roles as the mother in the film Breaking Away, Barrie is also a wife, mother, and best-selling author. Her third book, entitled Second Act, chronicles her inspiring battle against colon cancer and its life-affirming aftermath. Expanding on this memoir, Barrie’s lecture program delivers a message of hope and recovery for young and old alike. Barbara Barrie’s theatrical credits reveal one of the nation’s most successful and versatile performers. She appeared on Broadway in numerous productions including Company (for which she earned a Tony Award nomination), Prisoner of Second Avenue, California Suite,The Selling of the President and Torch Song Trilogy. She also starred in the off-Broadway productions of The Beaux’ Stratagem, The Crucible, Mi Vida Loca, Love Letters and The Killdeer, for which she won an Obie and a Drama Desk Award. Additionally, she was seen in The Taming of the Shrew, All’s Well That Ends Well and as Viola, one of her favorite characters, in Twelfth Night for New York City’s Shakespeare in the Park. She performed with the American Shakespeare Company in Stratford, Connecticut for two seasons, where she was seen in The Winter’s Tale, Romeo and Juliet and A Midsummer Night’s Dream. An Academy Award nominee for her role in Breaking Away, Barrie’s additional feature film credits include One Potato, Two Potato, which earned her the Cannes Film Festival Award for Best Actress, Private Benjamin, End of the Line and The Bell Jar. Do you want to hire Barbara Barrie? Directly request a quote. In 48 hours we can send you the availability of Barbara Barrie If you would like to book Barbara Barrie, Entertainment Booking Agency is the right place. We will offer you the best price and contact the management or we directly contact Barbara Barrie. For corporate appearances or speaking engagements you can contact our agents and the will help you true the process. Tags: hire Barbara Barrie, Barbara Barrie booking, book Barbara Barrie, Barbara Barrie appearances, find more information on booking Barbara Barrie for appearances, Barbara Barrie speaking engagements, Barbara Barrie endorsements/spokesperson, Barbara Barrie appearance fees, Barbara Barrie booking agency contact info, biography of Barbara Barrie, Contact an artist booking talent agent find a speakers bureau that can book Barbara Barrie, speaker booking agency for Barbara Barrie, Barbara Barrie booking agency, Barbara Barrie booking for corporate event. EBA is one of the biggest entertainment booking agencies in the World. We book hundreds of celebrities, artist, athletes and speakers in a year. Important to know is that we are not claiming to be the management of Barbara Barrie. 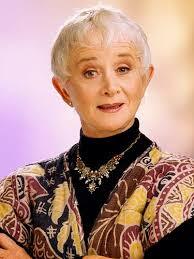 We are not the official agent for Barbara Barrie. Companies from around the globe book these artists and speakers true our company be course we have one of the biggest networks and we always have direct contact with the artist or the management. We help you to find the right celebrities for your corporate of private events. Please contact one of our agents to get free advice and we will help to get the world-famous artist on your party.